That’s the rallying cry of Tilly, a 5 Seconds of Summer fan who vowed publicly at the beginning of November to eat a photo of lead vocalist Luke Hemmings each day of the month. For the past 25 days, Tilly has posted daily videos of the stunt on Twitter, attracting polarized reactions from the internet while she waits for Hemmings’ approval. Tilly’s first video of eating a Luke photo racked up over 165,000 views. The second day’s grabbed nearly 50,000. And while views have tapered off as the month has gone on, each new video Tilly posts gets over 1,000 views within a day. The videos are incredibly simple. Tilly holds up a photo of Luke, usually gives the camera a smirk, smile or duck face, and chews and swallows the photo in a matter of seconds. Often, she opens her mouth to make it clear there aren’t any tricks involved. 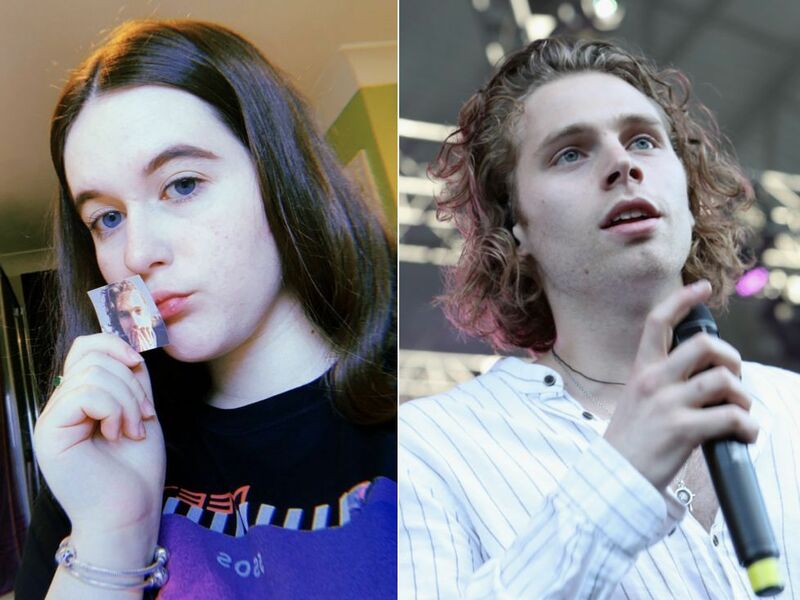 Tilly’s idea to eat the Luke photos came from another 5SOS fan who did the same thing, but with pictures of Colleen Kelly, a YouTuber and high-profile member of the fandom. Neither of these photo eaters are alone, though, evidenced by a man who ate photos of Jason Segel every day for 100 days. After the initial fanfare from Tilly’s fellow fandom members, attention started pouring in from all corners of Twitter, with a wide range of opinions on her photo-eating thread. Some backlash to Tilly’s videos addressed the possible health concerns involved with eating photos every day. And while there’s no telling exactly what will result from regularly eating paper and ink, it comes with some serious risks, according to Will Bulsiewicz, MD MSCI, a board-certified gastroenterologist. After informing Tilly of Dr. Bulsiewicz’s perspective, she admitted that she plans on stopping the stunt in the near future. As for Tilly’s hope that Luke will see her thread and actually eat a photo of her, both she and Dr. Bulsiewicz confess that chances aren’t so high. Escalating trade dispute looms: What do Trump and Xi want? Who is Jair Bolsonaro, Brazil’s far-right presidential candidate? ReadViralNews.com is your news, entertainment, music & fashion website. We always provide real and latest news of the world.